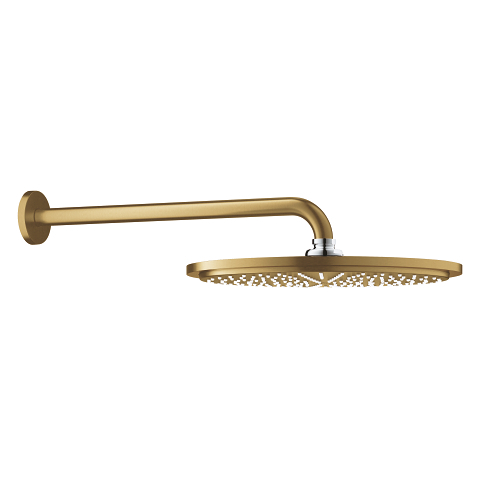 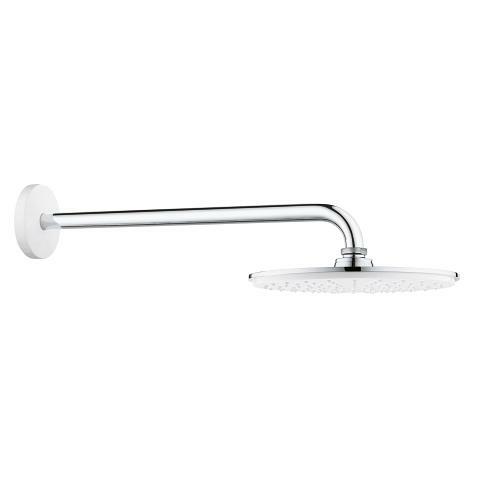 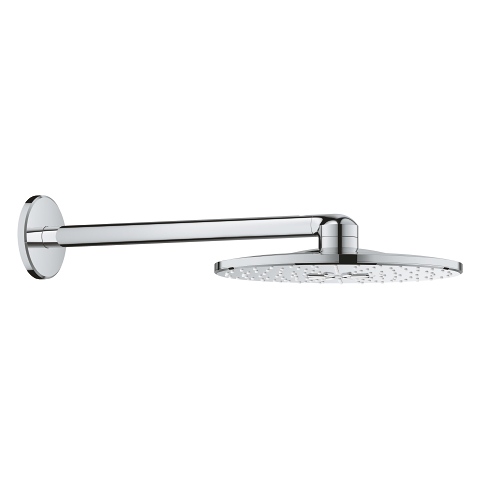 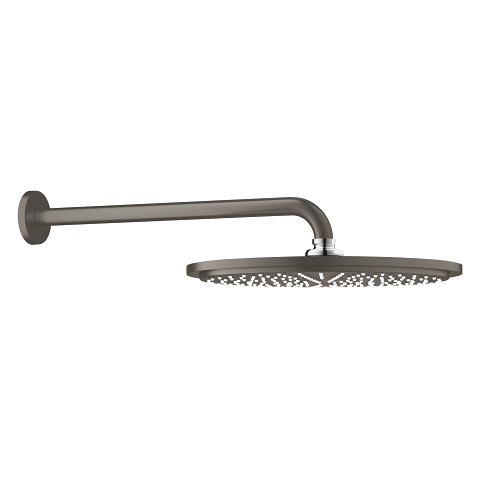 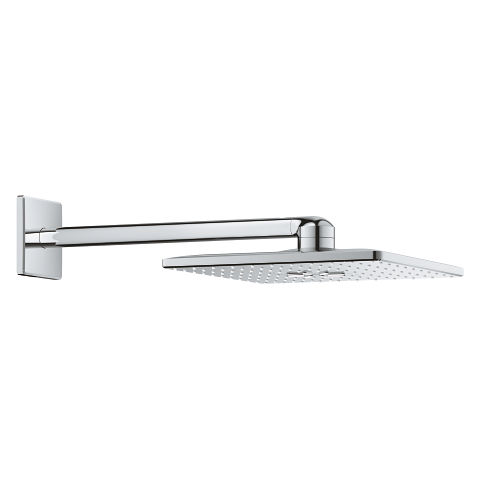 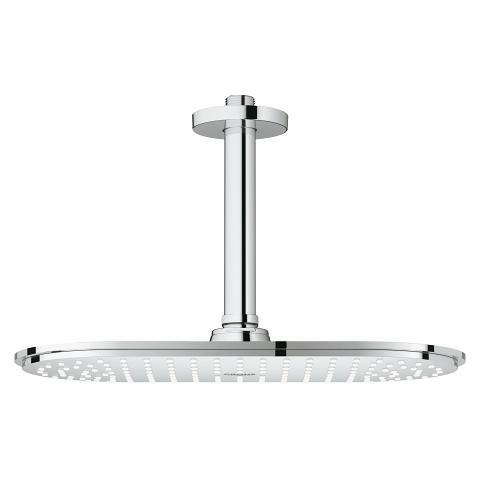 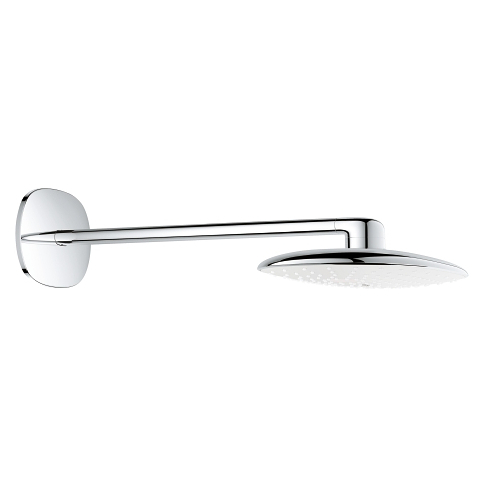 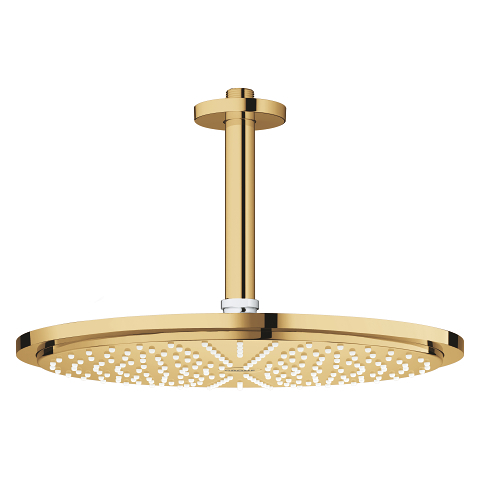 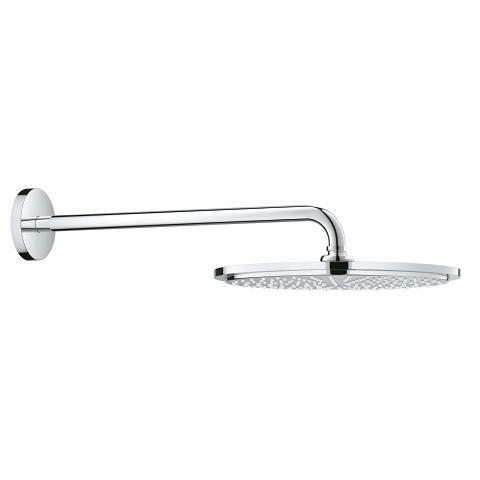 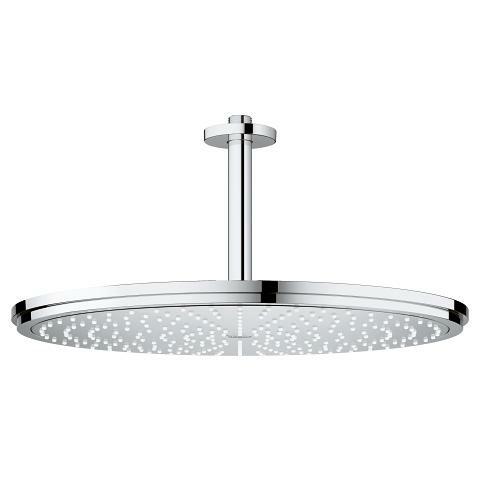 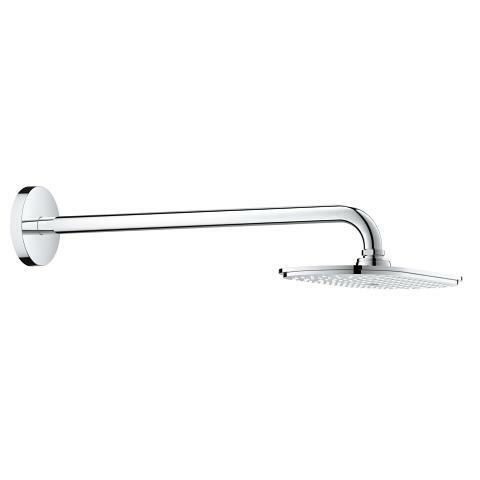 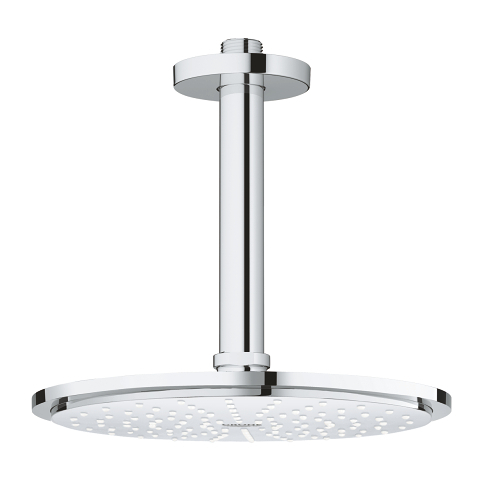 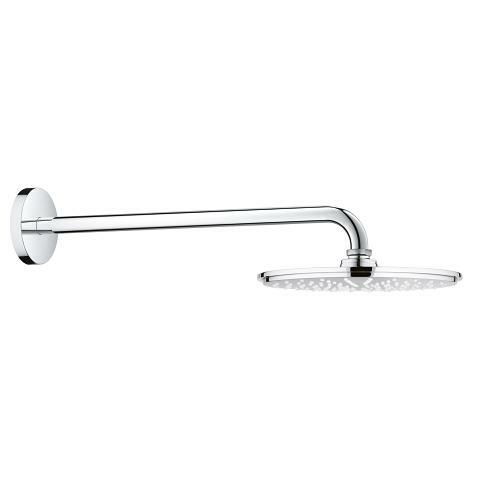 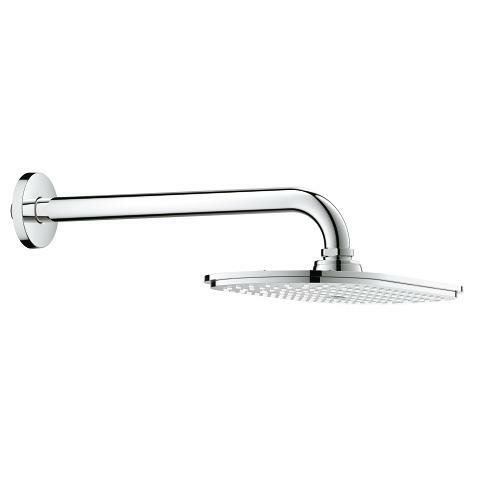 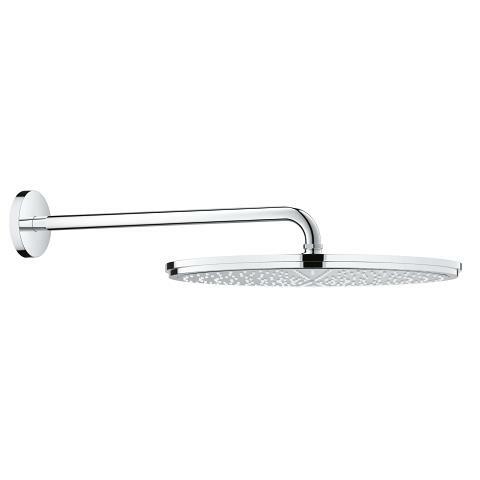 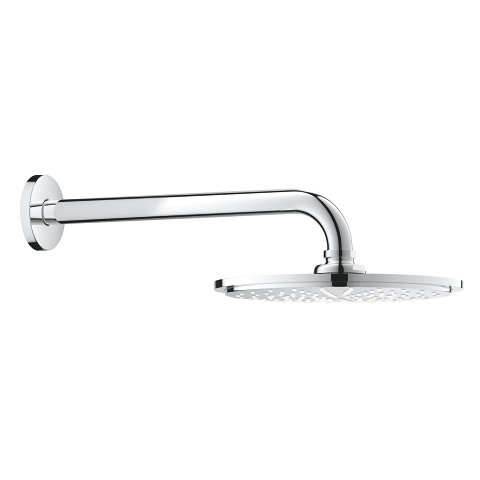 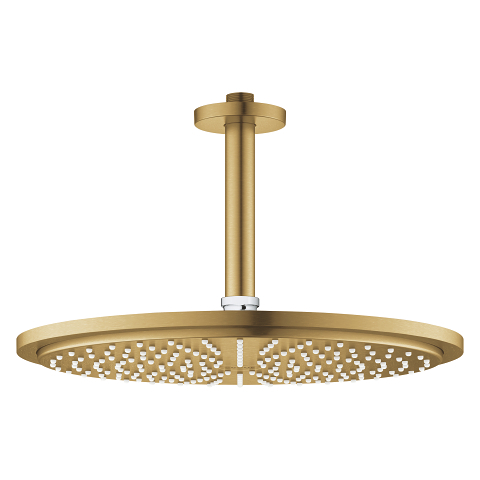 The generous wall-mounted GROHE Rainshower Cosmopolitan 310 Head shower set in Warm Sunset with 380mm arm adds instant designer style and premium performance to any bathroom. 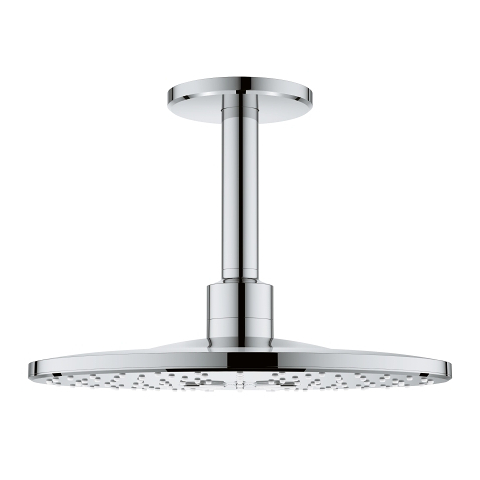 The system is also packed with GROHE’s cutting edge technology. 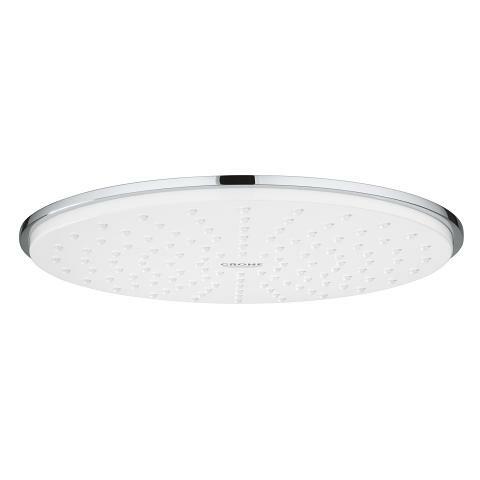 GROHE DreamSpray ensures the flow of water from every nozzle is even – perfect for enjoying the shower’s soft PureRain Spray – while GROHE EcoJoy cuts water usage but guarantees complete showering satisfaction. 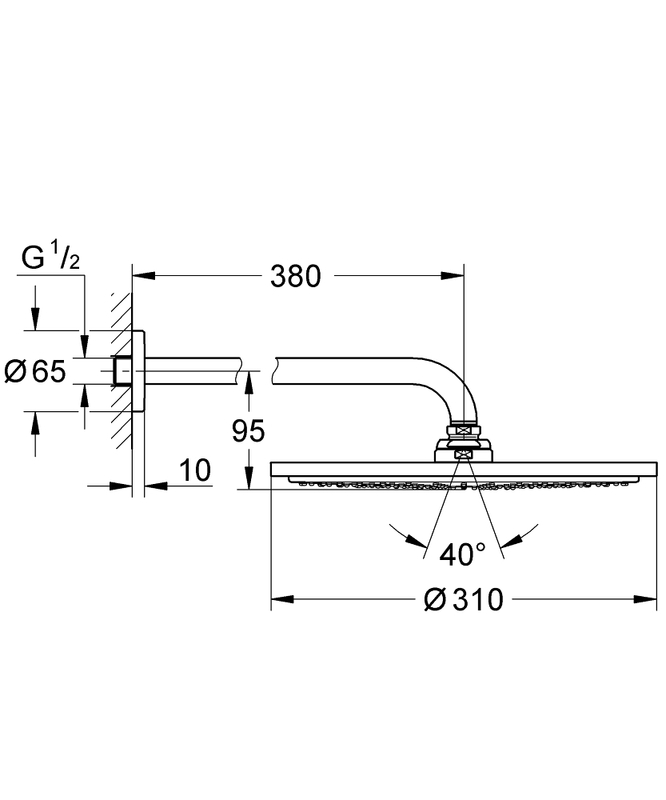 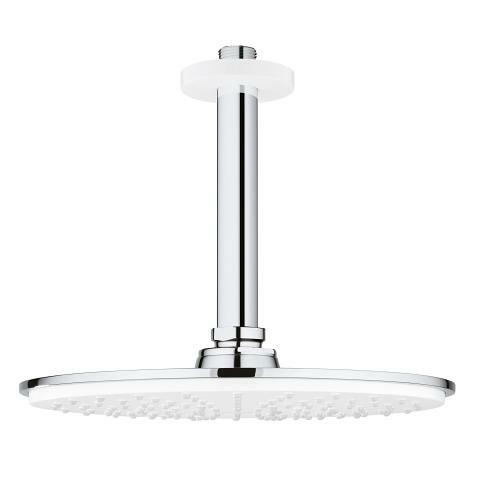 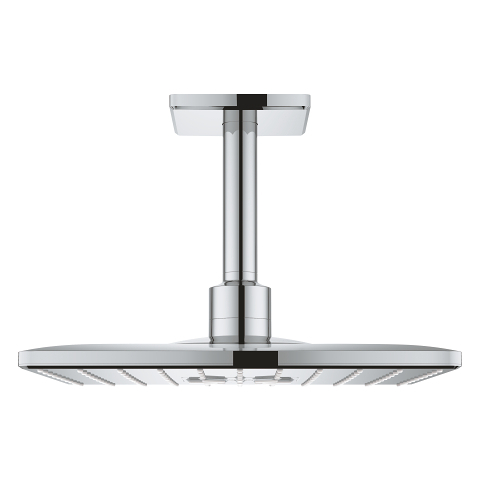 DropStop is a great function that prevents any drips from the head shower once it is horizontal and the valve is closed. 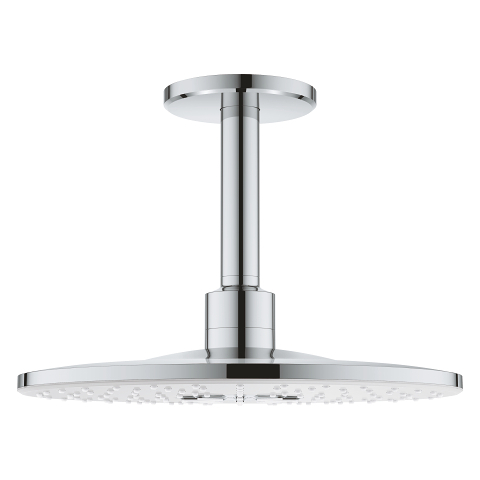 The handy silicone SpeedClean nozzles are easy to keep free of dirt and limescale. 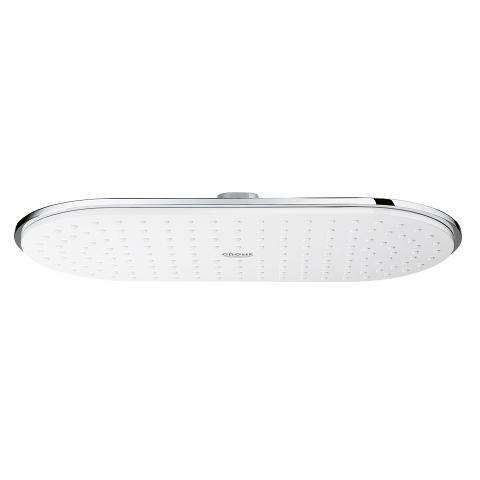 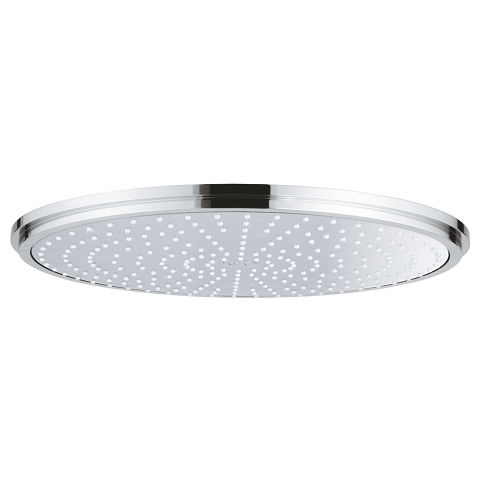 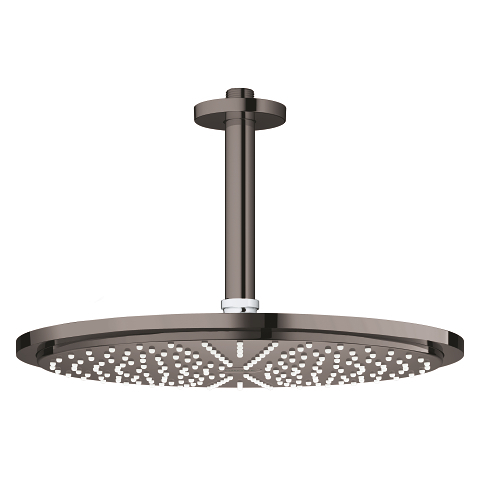 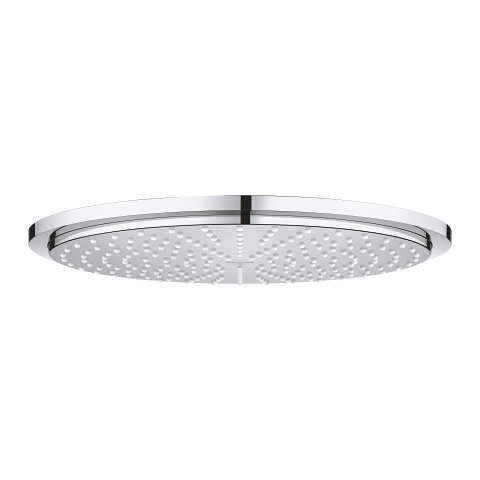 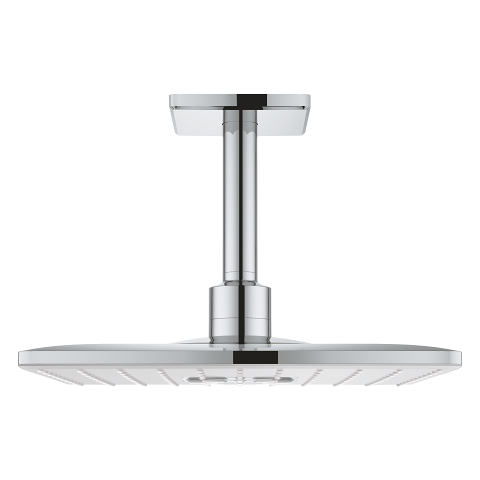 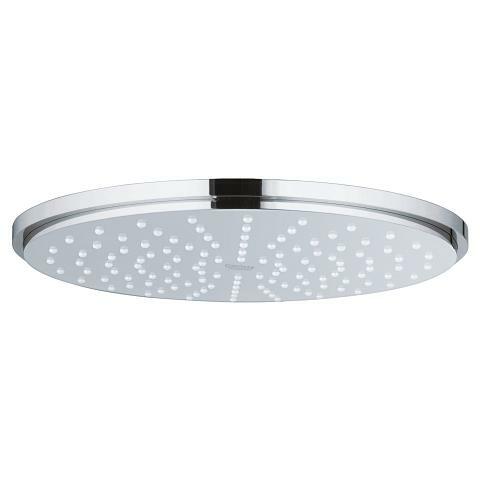 And the Inner WaterGuide prevents the surface of the shower from getting hot as well as protecting the scatch resistant and easy-to-clean GROHE StarLight surface for excellent durability.